AS FOUND, CHOICE QUALITY ,WELL CENTERED: CRUSADERS, Latin Kingdom of Jerusalem. Amaury. 1163-1174. BI Denier (17mm, 1.1g). Crusaders, Latin Kingdom of Jerusalem. 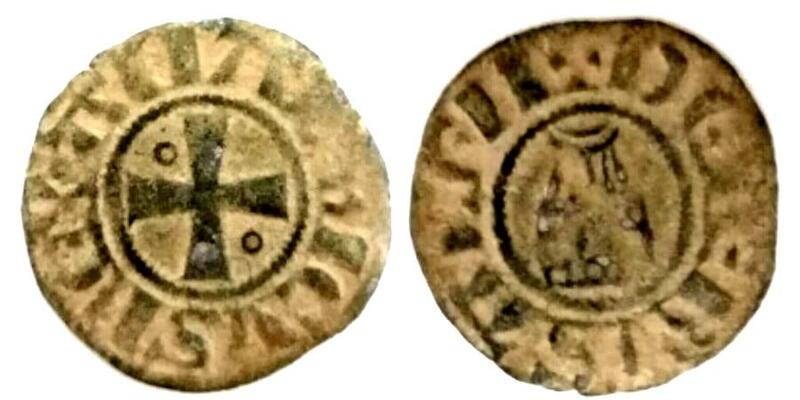 Amaury (1163-1174) BI Denier. AMALRICVS RЄX, cross pattée, annulets in first quarter, pellet in third quarter / + DЄ IЄRVSALЄII, Church of the Holy Sepulchre. Metcalf, Crusades 186; CCS 23. 17mm, 1.1g. FRANCE.Duchy of Lorraine.Charles IV 1st period 1624-1635.AR.Teston 1632.